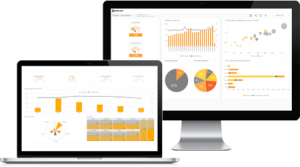 Sisense’s data analytics software runs on any device. Dashboards are edited and published in the web environment, which is fully functional on any device with a browser: PC or Mac, mobile, tablet or desktop. The Elasticube manager runs on Windows OS but can easily be run on a Mac as well by installing some simple plugins. To access the ElastiCube Manager from a Macintosh computer, you’ll need a Virtual Machine Manager (hypervisor) such as Boot Camp or Parallels. Using the VMM app of your choice, you will be able to install Windows. After you have set up your VMM, boot up Windows and proceed to install Sisense. You will need to do this in order to manage your ElastiCubes. However, once your elasticube is built you can go back to using OS X and enjoy the full functionality of Sisense. NOTE: Only Admin users who access the ElastiCube server need to use Windows. Dashboard contributors and consumers can stick to their beloved Macs and iPads. Any device equipped with a web browser (regardless of operating system) can be used to access all features of the front-end interface: viewing dashboards, adding or editing widgets, applying custom formulas, and publishing dashboards and reports.